Keep your employees and contractors happy and your applications secure with modern, unobtrusive and easy to deploy multi-factor authentication. N-VPN is designed to be minimally intrusive for system administrators as well as end-users. Deployed as a virtual appliance, it offers commonly used integrations out-of-the-box, and features built-in support for many common use-cases. Tired of changing passwords on a schedule? 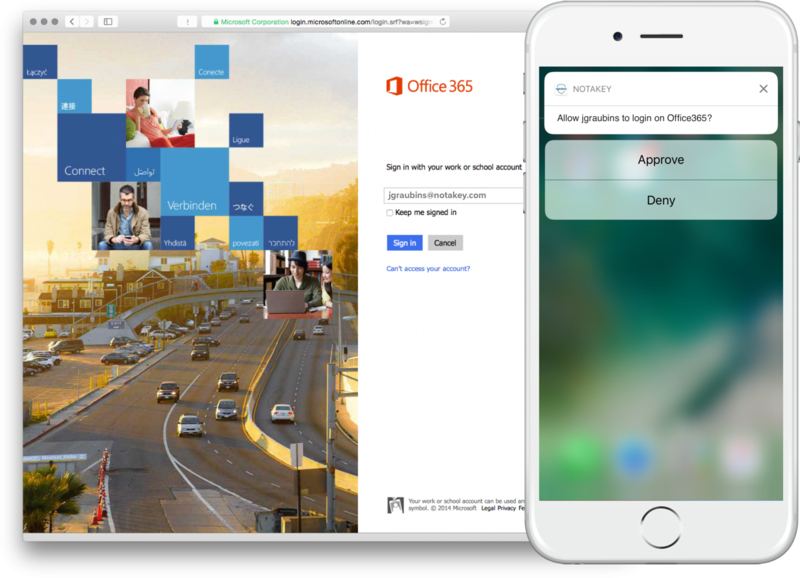 Eliminate passwords altogether, while improving employee satisfaction, productivity and security in one fell swoop. Software is essential to employee productivity – it needs to be secure, yet easily accessible. Employees do not need to spend time dealing with password reset policies, or remembering many different sets of credentials. Likewise, the IT staff should not be burdened with access-related troubleshooting, or spend time enrolling people to different systems manually. N-SSO is designed to provide a secure identity management solution that allows password-based workflows to be replaced with more modern solutions – based on smartphone notifications, public-key cryptography and flexible security policies that go beyond passwords. 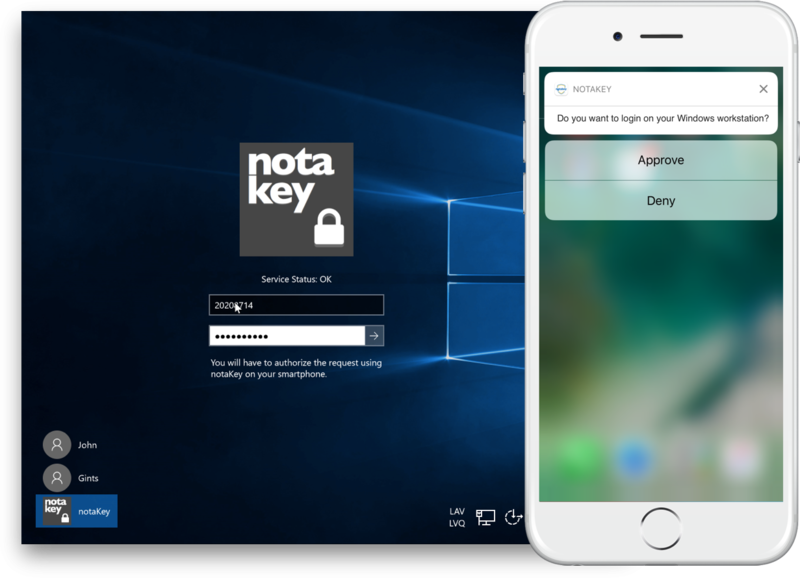 Get some peace of mind by easily integrating Notakey’s best-in-class multi- factor security with your Windows terminal servers and workstations. As an employer, it is in your best interest to ensure a modern working environment for employees and contractors. Access to Windows needs to be secure yet fast and easy to use. N-WINKEY is designed to leverage smartphone sensors and mobility, so that it can provide best-in-class security, without compromising on user experience. Secure sensitive transactions with unbreakable cryptographic seals. Do you have users? You need to be sure of their identity. Do they perform sensitive tasks? You need to be sure of their intent. N-Core applies unbreakable state-of-the-art cryptography to secure your users’ identity, and verify their transactions. It is the ideal solution for companies that wish to feel safe from auditors – your users will not be impersonated, and your transactions will be tamper-proof. Compliant with eIDAS, PSD2 and GDPR. formats, and digitally archive them. Modern digital workflows involve document signing and archival. 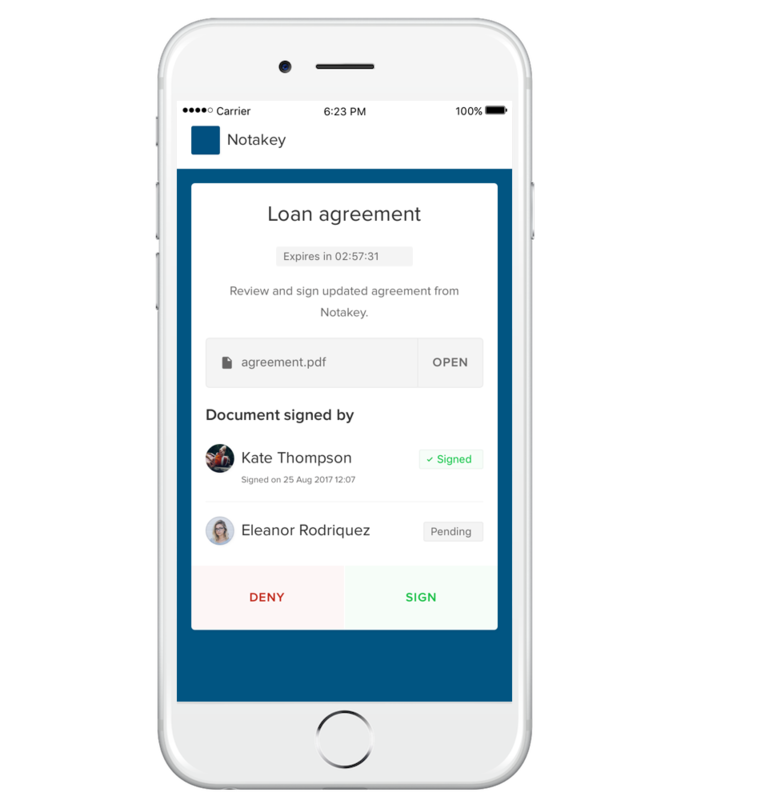 For organizations with their own certification authorities, N-eIDAS magically enables end-users to sign and transfer encrypted documents, with no extra development. The smartphone-based clients will be able to receive documents, and sign them with hardware-bound private keys. 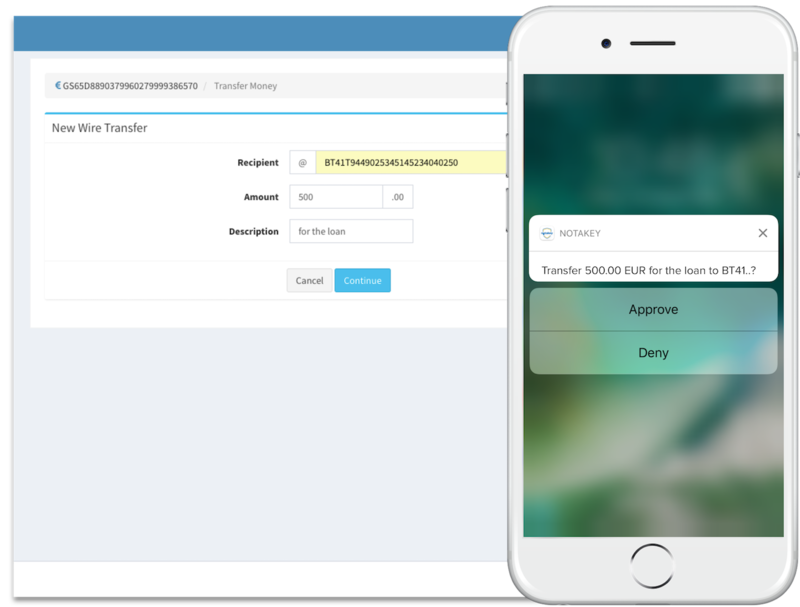 The highly available serverside software exposes API, which can be used for authentication, transaction signing, and eIDAS-compatible document processing.